The Fort Saskatchewan Pottery Guild was formed in 1965 by a small group of people interested in pottery. With the help of a grant, they purchased some equipment and moved into the basement of the old community hall. Membership grew quickly and soon there was a waiting list. Volunteers were the basis for the success and growth of the guild. In those days “Joe-Jobs” were a week-long commitment. First, powdered clay was mixed with water in old style wringer washing machines and then set out on plastic bats. When the clay was at the proper consistency it was wedged and bagged, ready for use. The “Joe’s” were also responsible for both a glaze and bisque firing which meant many late nights and early morning trips to the studio to check the kilns. They were also expected to mix glazes and do any general housekeeping that was necessary. The Guild held two very popular sales each year. Friday night was for viewing only and there was always a long line-up of customers at the door early Saturday morning, eager to buy their favourite pieces. In 1974 the Fort Saskatchewan Pottery Guild became a registered society. When the community hall was torn down in 1980 the guild moved to the industrial area, and moved again in 1990 to a building on the old jail site. Here the guild opened the “Earth ‘n Fire Gallery where local artists sold their creations to the public. 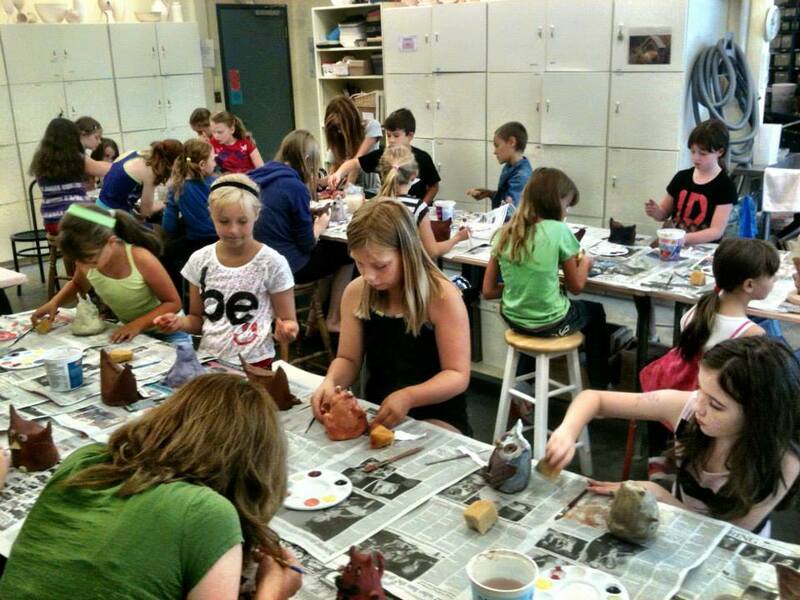 Finally the Fort Saskatchewan Pottery Guild moved to the Dow Centennial center in 2004. The Guild has always been very active in the community; holding a public raku on July 1st, organizing several major sales a year, hosting workshops for local and area potters. It has also been involved in promotions for the city and large projects such as the children’s tile project for the Dow Centennial Centre. This group of potters is still run totally by volunteers, and offers day and evening classes for adults at all levels of expertise from beginners to advanced. There are numerous children’s programs including home school, early out Wednesdays, birthday parties and summer pottery camps. Hundreds of local school children create their own masterpieces at the guild every year as part of their art curriculum. The Fort Saskatchewan Pottery Guild has several wheels and kilns, a slab roller and extruder and glazes of all types and colours. The future looks bright for the Fort Saskatchewan Pottery Guild and we hope to continue to fill the needs for area potters of all ages, at all levels.